Starting the day with a healthy diet helps you to maintain energy, fend off hunger attacks and lose weight. For successful weight loss and to remain lean regular breakfast is necessary. People who take breakfast daily take more nutrients, like fibres and vitamins. The number of nutrients, carbohydrates, and proteins in a healthy breakfast should be balanced. 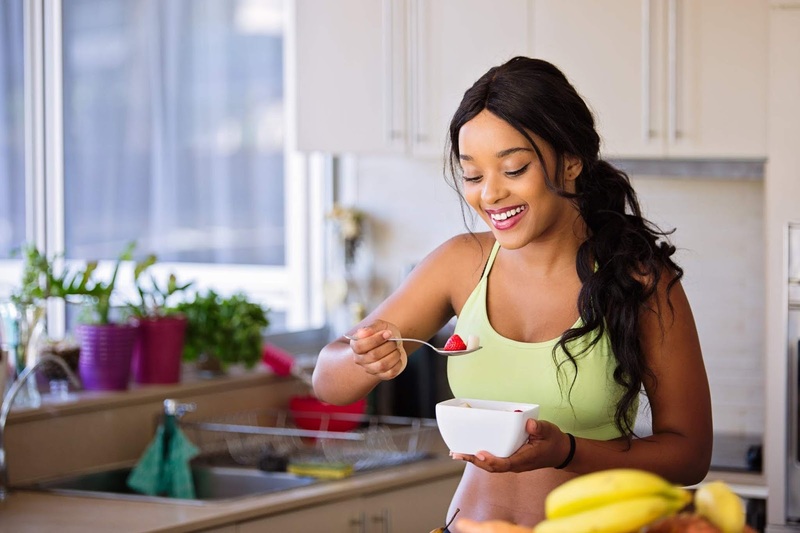 Read to find more about the healthy diet and foods that keep you fit and help you in weight loss. Know how the foods mentioned below are beneficial for weight loss? Latest researches reveal that yoghurt is included in one of the top food that helps in weight loss. Yoghurt gives proteins that help in weight loss. Proteins are fulfilling and take a long time to digest than other carbohydrates. When people take proteins, they lose about 4 pounds and about 1 inch their waist in 6 months. They felt fewer feelings of hunger. In other research on mice, found that when mice were given a whey protein they gained less body weight even though the quantity of the calories are same. Other dairy products and yoghurt contain whey proteins. To save calories and unnecessary sugar choose plain yoghurt and for sweetness add fresh fruits. One egg contains 6 grams of protein and 70 calories. Proteins keep you satisfied for longer compared to other carbohydrates. In one study it was found that people who eat an egg feel full for longer and they lost more weight compared to those who eat the same amount of calories from other products. Eating egg whites only helps you to avoid extra calories form yolk. This makes the egg a powerhouse for the breakfast. The yolk of the egg is rich with the nutrients like eye protecting antioxidants and nutrients. Eating one whole egg daily is good for health. Eating one cup of the raspberries give 8 grams of the fibres. This is double the amount what is in the cup of the strawberries. According to recent research eating fibre helps you to lose weight. Studies spanning over 2 years found that eating 8 grams of the fibre daily helps you to loss 4 ½ pounds of weight. Oatmeal helps in weight loss as oats contain a high amount of fibre that keeps you feel fuller for a long period of time. Recent research has found that breakfast with slow-release carbohydrates such as bran cereal and oatmeal helps in burning more fats. Because slow release carbohydrates help does not cause a spike in sugar as high as the refined carbohydrates. In return, the insulin level remains the same. In top foods that help in losing weight, peanuts are a good option. Peanut butter includes all the necessary nutrients such as fats, fibres, and protein that helps in losing weight. Nuts are famous for having high calories and fats. Nut butter is calorie dense and 2 tablespoons of the peanut butter help in building a satisfying breakfast. Use 2 tablespoon peanut butter on wheat toast or add nuts or peanut butter in your oatmeal. Among the fruits that help in weight loss, avocado is the best. While all the fruits contain crabs but avocados are loaded with healthy fats. Avocados contain the oleic acid this is the same type of the fat found in the olive oil. Avacodes contains water and fibre that help in losing weight. Avacodes are a good addition to the salads and these also contain potassium. In the natural health community, apple cider vinegar is very popular for weight loss. Some people dilute it in water and others drink it as such. It can be very good for weight loss. Taking vinegar gives the same feelings of the fullness as it is come by eating crab meal. One study on the obese people showed that drinking 15 to 30 ml vinegar per day helps you in losing 2.6-3.7 pounds of weight. Vinegar also helps in reducing the blood sugar spikes after the meal and it gives various health benefits in the long term. Kale, spinach, collards, Swiss chard and few others are included in leafy greens. Leafy greens have low calories and carbohydrates that make them perfect for the weight loss diet. Without increasing the volume of your meal, eating leafy greens is a great diet. Many studies showed that food with low energy density makes people eat few calories overall. In some studies, it was found that leafy greens are rich in nutrients, vitamins, antioxidants and minerals. These minerals and nutrients help in fat burning. Fatty fish like Salmon is very good for health and keeps you full whole day relatively with few calories. Important nutrients, proteins, and healthy fats are present in salmon. Fish contains a significant amount of iodine as well. This nutrient is necessary for the proper functioning of the thyroid glands. In many studies, it was found that many people in the world are unable to fulfil their iodine requirements. The omega-3 fatty acid is also present in salmon, which helps in combating inflammation and plays a major role in weight loss. Among the most nutritious food on the planet, Chia seeds are one of them. In 28 grams of chia, seeds contain 12 grams of carbohydrates and 11 of these grams are fibres. In the world, chia seeds are the best source of the fibres. Because of the high fibre content, they can absorb a high quantity of water and they expand in the stomach. In many studies found that chia, seeds reduce the appetite. Fatty acids in coconut oil increase the calorie burning rate and boost the satiety than other fats. Studies on both genders showed that coconut oil reduces belly fats. It is a good supplement for weight loss. Extra weight creates health problems. Weight loss is one of the major issues that people face nowadays. For weight loss, diet selection is very important. In Pakistan, Marham finds a doctor provides online consultation and appointment with nutritionists for selecting a diet plan that works for weight loss and maintaining good health. Akraam Ullah has done masters in psychology. Forensic psychology as an area of specialization. He worked with Federal ombudsman as a researcher and data analyst. He worked with Federal ombudsman on a project of child sexual abuse title as “Mapping of Issues & Response to Sexual Violence against Children”. He did his final year project on convict’s title as “impulsivity and risk perception in convicts”. Other than writing, he has a keen interest in data analysis on SPSS and Amos. Currently, he is working with Marham-find a doctor as a content writer. He writes on health issues with special focus on its psychological side.